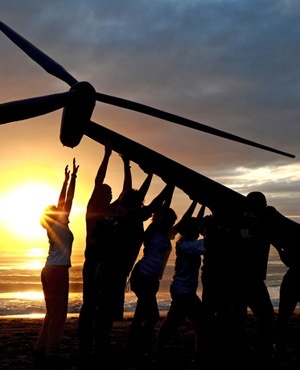 South Africa's renewable energy programme has been much lauded in the past. Johannesburg - Minister of Public Enterprises Lynne Brown gave Eskom the go-ahead on Friday to sign outstanding power purchase agreements with independent power producers who form part of SA's independent power scheme. Brown approved Eskom’s application to purchase additional renewable energy from the producers involved in last bid windows of South Africa's much-hailed renewable programme. “The conclusion of the power purchase agreements to enable the implementation of the outstanding projects under bid windows 3.5, 4 and 4.5 of the Renewable Energy Independent Power Producers Programme is critical to implementation of the national energy policy as articulated in the Integrated Resource Plan of 2010,” Brown said in a statement. The programme largely ground to a halt when Eskom refused to sign further agreements about two years ago, citing financial woes. The decision put the skids on the programme and renewable investment flowing into the country. On January 11 2018, Eskom submitted an application to Brown under Section 54 of the Public Finances Management Act to purchase the additional energy. The minister approved the application on Friday. “South Africans have reason to feel very proud of the progress the country has made adding renewable energy to the energy mix," she said. "There are risks to Eskom’s financial and operational stability in the medium term, among others, that must be mitigated." She added that South Africa is committed to reducing its carbon footprint. Brown said she requested Eskom to work expediently to implement the decision and avoid further delays. "I have also written to the Ministers of Energy and Finance requesting that we discuss how to address Eskom’s genuine concerns through expediting a revision of the Government Support Framework Agreement,” Brown said. Finalising amendments to the National Energy Regulation Act would enable Eskom and national energy regulator Nersa to efficiently and effectively resolve deadlocks relating to tariffs and regulatory frameworks by including a predetermined appeal mechanism, she concluded.